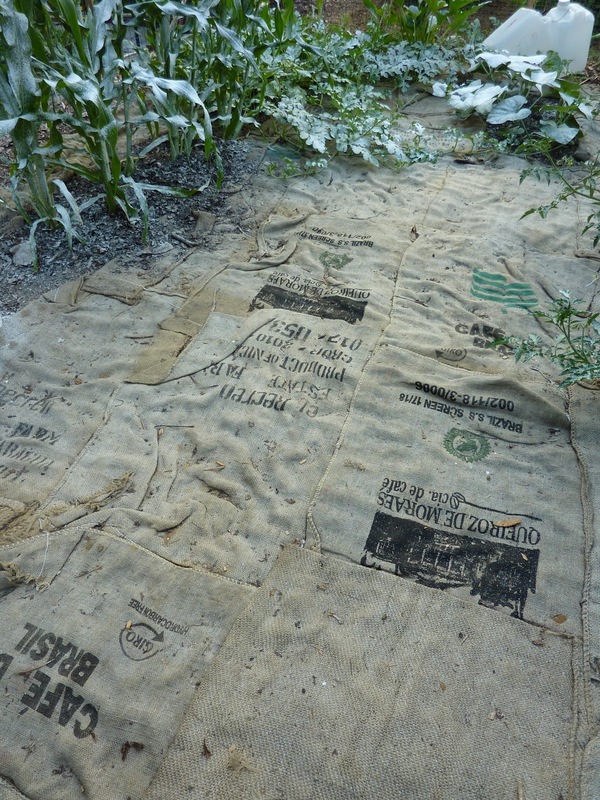 First, the gardeners at Parklawn Community Garden in Montgomery County were using coffee sacks last summer as mulch and pathways. They block weeds nicely and will eventually decompose, but could be pulled up in fall and stored inside to make them last longer. These bags came from Mayorga Coffee in Rockville, which has bag pickup days when they do a big roast (they send out alerts on Facebook). Other coffee roasters probably do the same, so check it out. This little fabric pot belongs to my neighbor, who has a friend who works in a hospital and noticed that the blue wrap fabric used for sterile packaging was thrown away after use. She began to collect it and make things out of it. The polypropylene fabric is pretty close to sterile when its hospital use is over, and would certainly not introduce plant diseases. 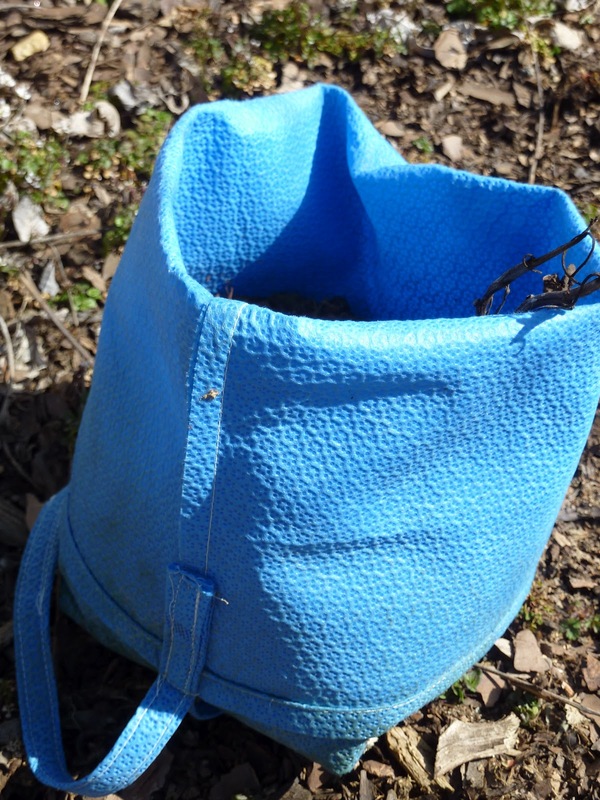 The fabric is long-lasting; I don’t think I’d want bright blue weed barrier, but the pot is cute. You would have to have a) a hospital source willing to procure it, and b) sewing skills. Some hospitals are introducing recycling programs for “blue wrap” so the source may dry up. If anyone with hospital know-how wants to chime in on this one, I’d be interested to hear what you think.